These were three beautiful Jewish things that I saw in Florida in 24 hours. 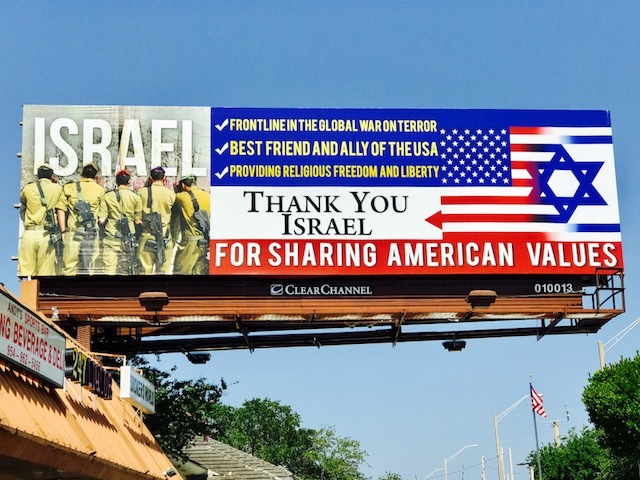 The first was a billboard touting the wonderful America-Israel friendship and partnership. "Frontline in the global war on terror. Best friend and ally of the US. Providing religious freedom and liberty. Thank you Israel for sharing American values." The second were about 20 cans ("pushkas") for collecting charity for the poor in a local kosher Pita Plus restaurant. 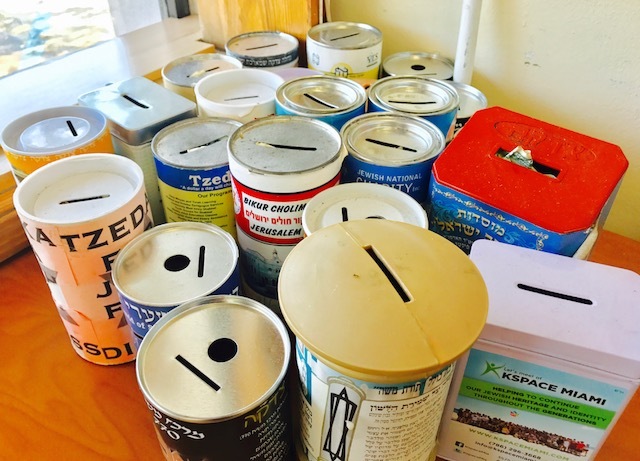 Have a great shawarma plater (with mounds of meat) and give back to others in need and hungry. 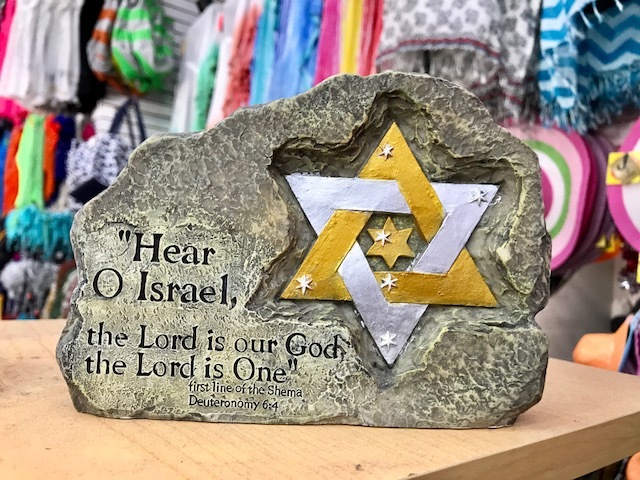 The third was a sign in a discount beachy clothing store with the holy Jewish blessing of Shema Israel. The L-rd is our G-d. There is a feeling of G-d and faith, of charity and giving, and of special partnership between friends and allies, USA-Israel.